Experience a single-component, ready to use grout that makes tile-setting tasks easier with innovative Mapei Flexcolor CQ Grout. Featuring premixed color-coated quartz, Flexcolor CQ combines ease of application, color consistency, and chemical/stain resistance all in one pail. Grout joints (seams) can range from 1/16" to 1/2"
Some types of sensitive tiles such as glass mosaic or marble can be permanently stained, scratched, dulled or damaged when grouting. Always test the grout on a separate sample area before grouting to determine the suitability of the tile with the grout color selected. I have about 40 sq ft of 2x2 marble hexagon floor tile. How much Flexcolor CQ will be needed for approximately 1/16� grout lines? Also, Flexcolor CQ will not scratch the polished marble tiles? I used the flexcolor grout on my shower. I love it. 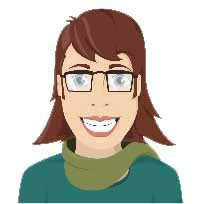 I used it also on my glass mosaic tile. It appears to have scratch it. I am not sure if there might be a film on it. I used water to clean it up but it seems to have a film on it. What can I use to clean the film off? I also used this on the floor. Do I need to use a special cleaner to clear the tile floor? Is the product mildew proof,? Like epoxy grout is ? Do you offer one that is ? is this product sanded or unsanded? Do I have to remove all of the old grout on my tile floor to use your product? and it never needs to be sealed, Right? Can you buy your product at H/Depot, Lowes, etc.? I purchased a 2-gal container of Mapei Flexcolor CQ Navajo Brown Acrylic premixed grout. It doesn't indicate sanded or unsanded. Can it be used on glass and mosaic tile as well as porcelain floor tile? I am looking for a white color grout that can be used with vinyl tiles. Everything I have found has a color to it. Can you help me? I'm looking for an unsanded, pre-mixed grout...some color other than white to use for decorative tile installation in a shower stall environment. I can find unsanded Or pre-mixed grouts but so far can't locate unsanded and pre-mixed in same container. Can you help? Thanks. Experience a single-component, ready to use premixed grout that makes tile-setting tasks easier with innovative Mapei Flexcolor CQ Grout. Featuring color-coated quartz in a variety of designer colors, Flexcolor CQ combines ease of application, color consistency, and chemical/stain resistance all in one grout pail. Please note that although they approve for glass application, do NOT use on glass as it WILL scratch. Manufacturing notes should be changed in my opinion to warn against usage on glass. However, please try a sample of your glass first would be my suggestion. Thank you for your review. We are sorry you experienced some scratching. However, the installation instructions on our product page does say: "Some types of sensitive tiles such as glass mosaic or marble can be permanently stained, scratched, dulled or damaged when grouting. Always test the grout on a separate sample area before grouting to determine the suitability of the tile with the grout color selected." We will also add more notation to our page. The product was easy to use and the results were beautiful, will use on my next tile project as well. Highly Recommend! After reviewing the cost of buying grout and then a cleaner to clean it up afterwards and a sealant, my installer gave me a price on the materials for grout 3 times as much as simply using the Mapei Flexcolor, and it cleans up easily and seals great. He loved using it so much that he wanted to know where I bought it and the name and place. 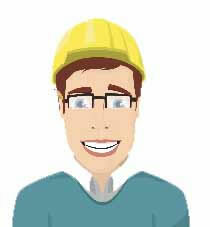 So now he can help his customers save on materials and end up with a great finish. Highly recommend the 24 hours drying time, especially with kids. Great Product. Couldn't find premixed black grout anywhere, until I found it with Koffler Sales. Purchase online was easy and prompt shipment. Used the product to lay our wood like grey ceramic tile. The grout was extreamly easy to use and looks fantastic! Highly recommended! With the sponge included in the 1 gallon size I question whether it is a true gallon....I came up 2 sq ft short on my project. Easy to use, looks great!! High end tile company could special order this for my bathroom project, but with the online coupons I ordered from Koffler instead. It looks amazing, and my contractor loved using the product. First time I used this grout I was apprehensive. But went down and cleaned up easy. Great product. When I'm excited about a new DIY project, I am ready to go. 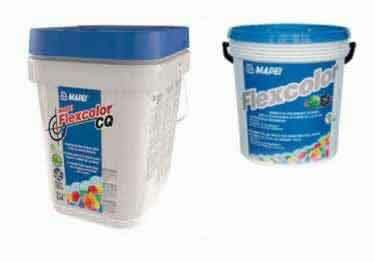 Mapei Flexcolor CQ Grout is ready-to-use and can be reused within a year, if properly stored. I do not have to worry about mixing grout. The even formula is already done for me, so I can start my tile or stone project immediately and I can be confident that my project will turn out great. When it comes to choosing the best grout, Mapei Flexcolor CQ Grout is an easy decision. Mapei Flexcolor CQ Grout, Ready-to-Use, offers color coated quartz for consistency, improved workability, easy cleanup and chemical/stain resistance all in one pail. This pre-mixed grout is available in 36 colors, so you won't have to sacrifice quality for style. Whether you choose to add tile, stone, glass tile*, or marble* to your next project, Mapei's Flexcolor CQ Grout from KofflerSales.com will help give you a beautiful result. *Please test on an extra tile before a full application. An excellent high-performance waterproof underlayment and tilebacker and crack isolation solution.